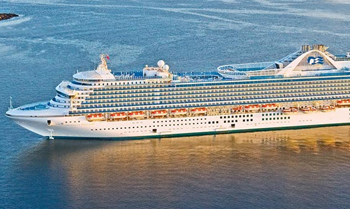 Come back new from a cruise on the Caribbean Princess, one of the stars of the destination that bears her name. At her launch in 2004, this incredible ship introduced Movies Under the Stars – a giant poolside movie theater featuring first run movies, concerts and sporting events. Here you can relax in a cushioned lounger with freshly-popped, complimentary popcorn under the night sky. Onboard, passengers can also enjoy a variety of street performing acts in the Italian-inspired Piazza, indulge in a soothing massage from an outdoor cabana at The Sanctuary, or savor a premium steak cooked to order in the Crown Grill. 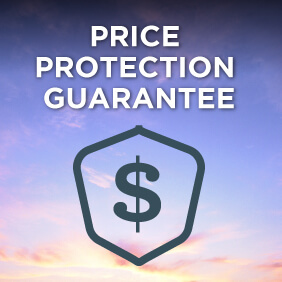 View all Caribbean Princess cruises, view a selection of Princess cruise deals, or view more options for Princess cruises. Treat yourself to “The Ernesto” burger, created by acclaimed chef Ernesto Uchimura, and named the #1 burger at sea by Cruise Critic. Or try one of our other 100% handmade Gourmet Burgers, including our Princess Burger or Triple Smoked Burger. The Salty Dog Grill also offers new Street Tacos-a Princess firstfeaturing a choice of grilled chipotle-lime chicken or roasted sweet potato-green chile. And dont miss the Classic Hot Dogs, plus loaded fries in tempting varieties including chili cheese and bacon & cheese. Master chocolatier Chef Norman Love combined premium quality chocolate with unique flavors and artful designs to mastermind his exclusive creations found in the main dining room and at Horizon Court. Our top-deck pizzeria features a bold new look that sets the stage for tempting offerings that include specialties inspired by local favorites from the Pacific to the Atlantic. Try a Deep Dish Focaccia or a slice of our award-winning signature Neapolitan-style classics. Savor some California Artisanal Toast with Cali-Avocado or Caprese toppings. Or go for a Sliced Stromboli, and enjoy an East Coast take on a classic Italian calzone thats stuffed with delicious Italian deli meats and cheeses. Complimentary ice cream cones await you at our transformed top-deck creamery venue. Pick up a chocolate cone, a vanilla, or a combination. Or treat yourself to an ice cream sandwich, with a tempting choice of flavors such as The Classic, Cookie Colada, Snickerdoodle, Honey ‘N’ Oats and Mint Paddy. We’ve added specialty New Grounds Crafted Coffee too. Including Espresso and Cappuccino, Latte, Chai Tea and more. Youll even find a choice of Frappes, such as Nuts for Caffeine, Mocha Milkshake and Mexican Frothed Chocolate. Hot music and cool cocktails set to a DJ spinning popular club tunes is the ideal setting for a night of dancing. Gleaming, ultra modern and ultra cool, this hot spot invites a little stargazing while the colorful neon dance floor invites everyone to get up and boogie down. Boasting panoramic views from its vantage point 15 decks above the sea, its the perfect place for dancing and socializing.